After the FWL Slovakia, all guests are welcome to join the European Researchers’ Night festival. FREE AUDIENCE REGISTRATION! 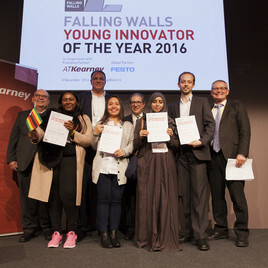 A Falling Walls Lab Slovakia is open to all and cost-free. To register as an audience, please book your seat by getting this ticket.